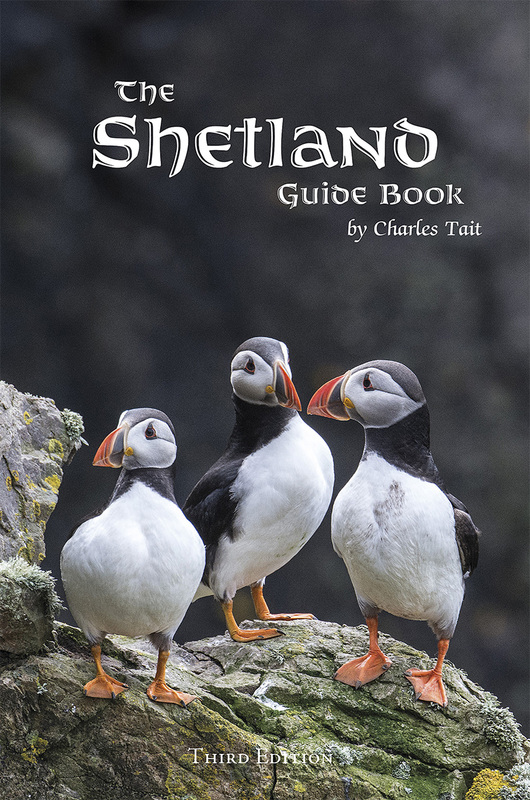 The Shetland Guide Book, third edition was published in May 2018. This 288 page travel guide is a handy pocket size (140x220mm). It is a major update on the previous edition with all of the features of Charles Tait's travel guides. It covers all the main sites of interest, monuments, visitor attractions and islands in Shetland as well as many less know places to visit. Geology, climate, birds, flora and fauna, archaeology, history, language and culture, suggested itineraries, transport and services. It is profusely illustrated with over 750 of Charles Tait's images, mostly new and unpublished as well as OS maps. 5.0 out of 5 stars Brilliant guidebook, 30 Jun 2010 By Eshaness - This review is from: The Shetland Guide Book (Charles Tait Guide Books) (Paperback) Brilliant Guidebook for a tour around Shetland. What to see and do, where to go. really good and helpful tips! I can strongly recommend this book if your planning a trip to beautiful Shetland. The book can also be ordered (e-mail charles.tait@zetnet.co.uk), or by telephone (01856 873738)or from our website. letter (Kelton, St Ola Orkney KW15 1TR), directly from us.